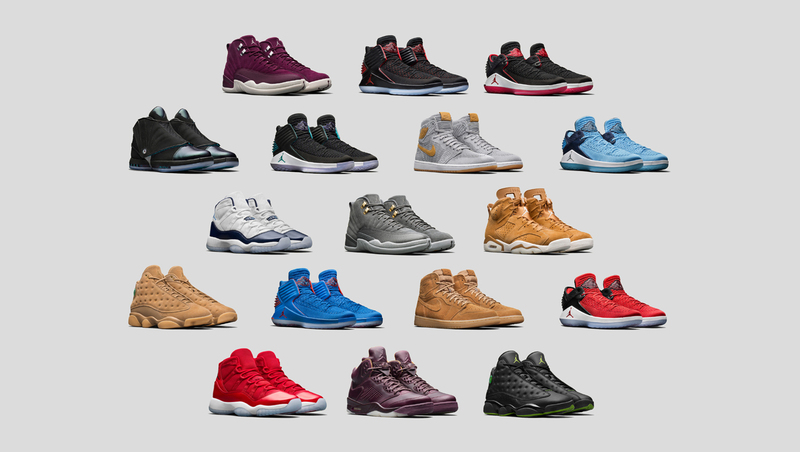 In case y’all missed yesterday’s news, Jordan Brand officially unveiled their 2017 Holiday collection – including some already unveiled from back in September. Now we have info on each shoe’s release date, the stories and inspiration behind them and the addition of a few extra releases that have flown under the radar until now. The two big releases being the Navy and Red Jordan 11’s that make up one half of the “Win Like Mike” pack. The other half being a Low version of the 32 in the same colors that celebrate his 1982 NCAA championship and his 1998 NBA championship – the bookends of Michael’s on-court successes. But the biggest surprise was the addition of the “CEO” Pack – in honour of Mike’s title as CEO and majority owner of the Charlotte Hornets. It consists of a Jordan 32 and 16 draped in a deep version of the Hornets colors, with Black, Dark Teal and a deep Purple. These colors work together too well, and I have to say, this is probably the best version of both silhouettes I’ve ever seen. Check out a recap of the upcoming releases below!